The Cosmetic Executive Women (UK) Beauty Awards, the Oscars of the beauty industry, recognise outstanding innovation and creativity. The categories are voted on to bring together a collection of beauty products from within the industry. 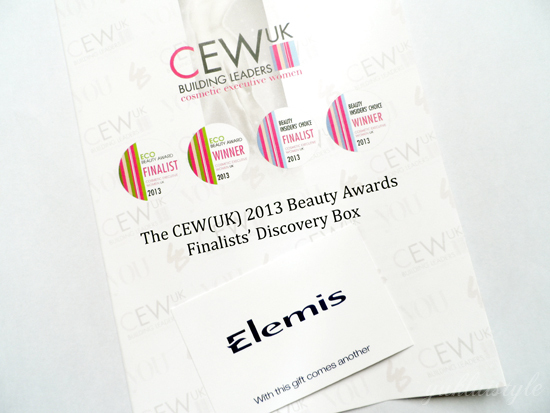 Following the success of previous years, CEW (UK) and YOU magazine have partnered again with Latest in Beauty to celebrate these prestigious awards by producing a beautiful, limited edition CEW (UK) 2013 Beauty Awards Finalists Discovery Box – the must haves for any makeup bag. 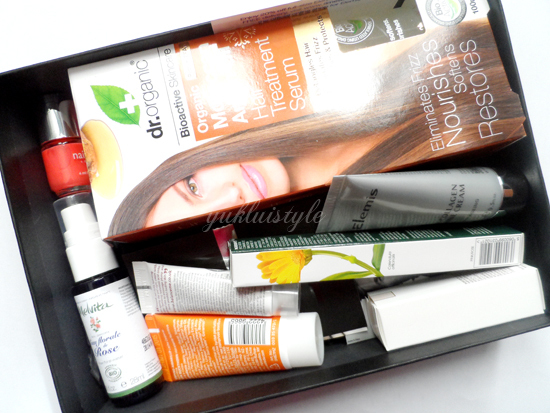 Another great box from Latest in Beauty. You get 2 full sized products and the rest are good sample sizes. They also include some men’s fragrance for your other half to try them if you don’t like what their currently wearing haha. There is a little discount code as an extra gift to shop at Elemis. Great box to test UK’s best products and wonder what all the raves are about. Sample sizes are great for travelling. A great way to test new products too. I actually cannot wait to test out the hair treatment serum! 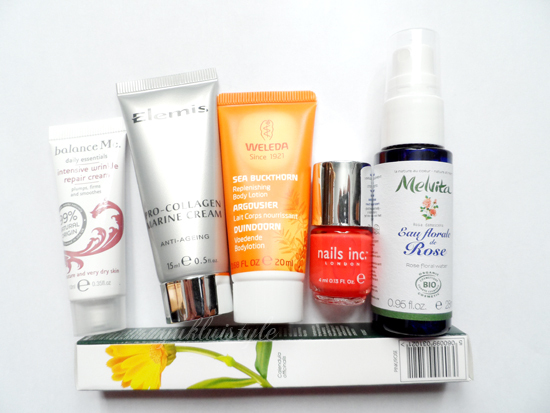 Another great box of goodies to try out from the Latst in Beauty. These are limited edition so purchase a box before it’s too late! GO GO GO! I can't wait until my box arrives, just got my dispatch email!